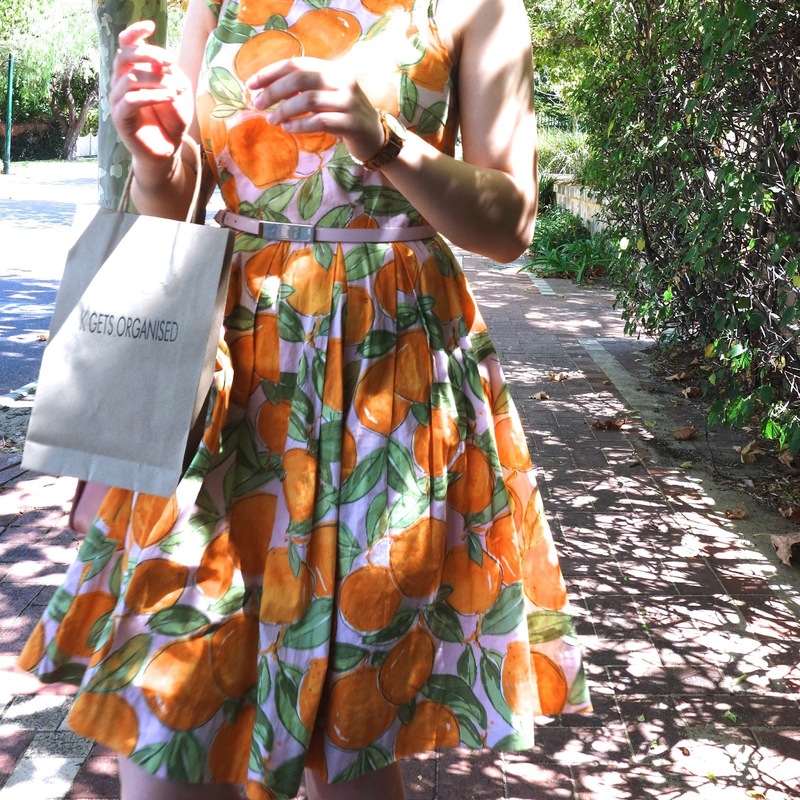 Today I'm sharing an outfit from a few weekends back, when I wore this cute orange printed dress. It's such a fun print and I love the orange against the pink background. It's been the perfect summer dress to throw on when I want something easy and cool, but still lady-like. 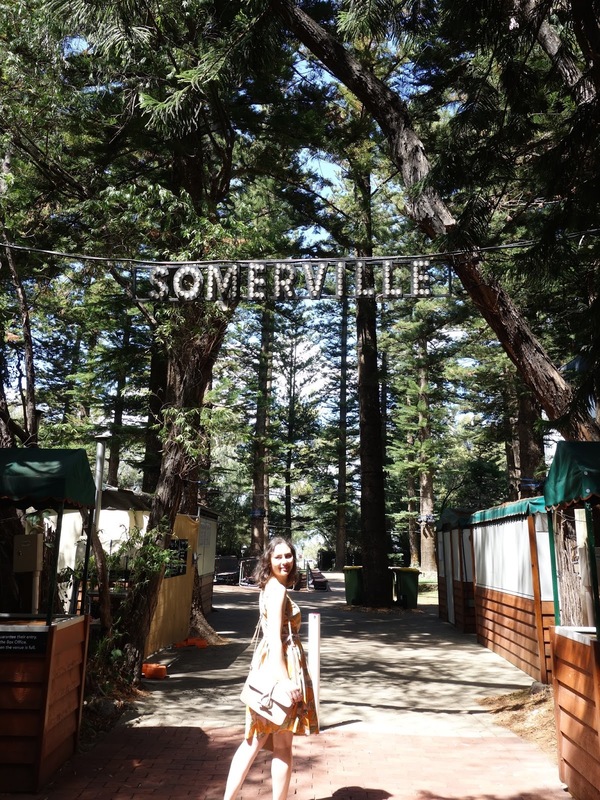 I've realised that there are so many pretty dresses in my capsule wardrobe that I've been wearing all summer but haven't actually shown on the blog! The weather's started to cool down a little now, so I don't know if they'll make an appearance until spring, but if you're interested in seeing what other pieces were in my Summer Capsule Wardrobe, you can check out my video about it here. PS: Sorry the photos aren't the greatest. 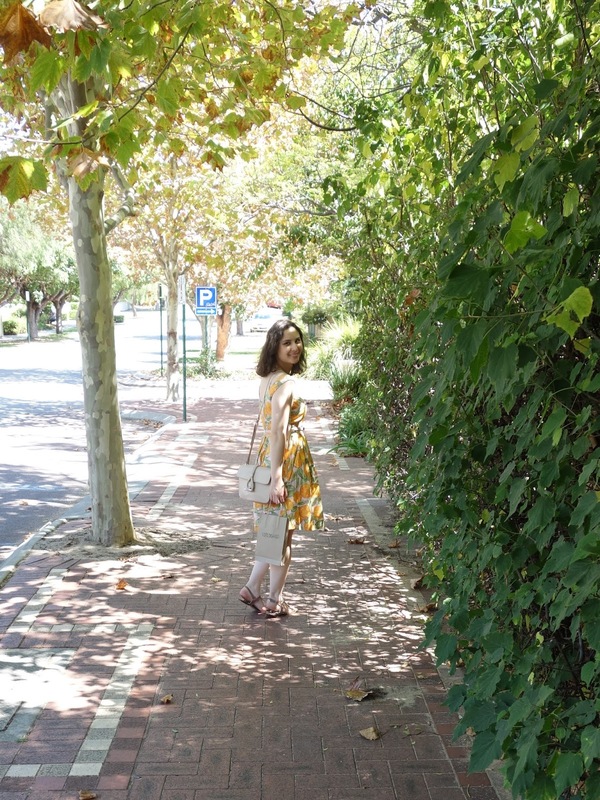 It was not the best light, and my photographer was a little grumpy this particular day (we were walking home after being at the Perth Upmarket and he was getting too hot!) so I only managed to get a few quick snaps! That dress looks lovely :) I too have problems with an uncooperative photographer who is allergic to anything that looks 'too posey'! Honestly!